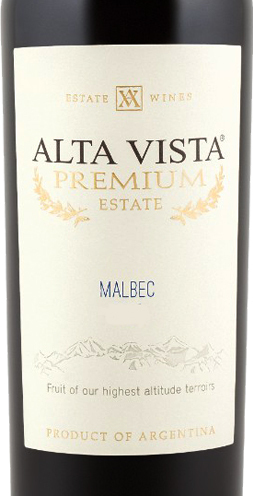 Il Malbec Premium by Alta Vista borns in vineyards located in Mendoza, in the Cordillera delle Ande, Argentina's most important wine-growing area. Produced entirely with Malbec grapes, picked and picked exclusively by hand. Durable for 12 months in French and American oak barrels. Taste soft and round, intense and persistent, is perfect for accompanying meat dishes. THE WINE Il Malbec Premium by Alta Vista borns in vineyards located in Mendoza, in the Cordillera delle Ande, Argentina's most important wine-growing area. Produced entirely with Malbec grapes, picked and picked exclusively by hand. Durable for 12 months in French and American oak barrels. Taste soft and round, intense and persistent, is perfect for accompanying meat dishes. THE COMPANY The Aulan family produces wines from different regions of the world, from France - country of origin - to Hungary, to arrive in Argentina, where since 1998 owns the company Alta Vista. Fifteen kilometers south of Mendoza, in the heart of Chacras de Coria, are the wineries with the best cutting-edge technologies. The constant pursuit of the highest quality, starting from the grapes to get to the finished product, is the malbec and torrontés and the two main varieties to be fully exploited thanks to the combination of French savoir faire with Argentine passion. Bodega Alta Vista now records an annual average production of 1.7 million bottles of high quality wine. Following a research philosophy aimed at obtaining the best expressions from various terroirs, and being able to exploit vineyards planted in the renowned Mendoza and Salta areas, Alta Vista is ranked among the most important and prestigious Argentine companies. Tasting Color: intense ruby red. Bouquet: ripe red fruits, scents of spice and licorice. Taste: round, with delicate tannins and good concentration, refined persistence. The Aulan family produces wines from different regions of the world, from France - country of origin - to Hungary, to arrive in Argentina, where since 1998 owns the company Alta Vista. Fifteen kilometers south of Mendoza, in the heart of Chacras de Coria, are the wineries with the best cutting-edge technologies. The constant pursuit of the highest quality, starting from the grapes to get to the finished product, is the malbec and torrontés and the two main varieties to be fully exploited thanks to the combination of French savoir faire with Argentine passion. Bodega Alta Vista now records an annual average production of 1.7 million bottles of high quality wine. 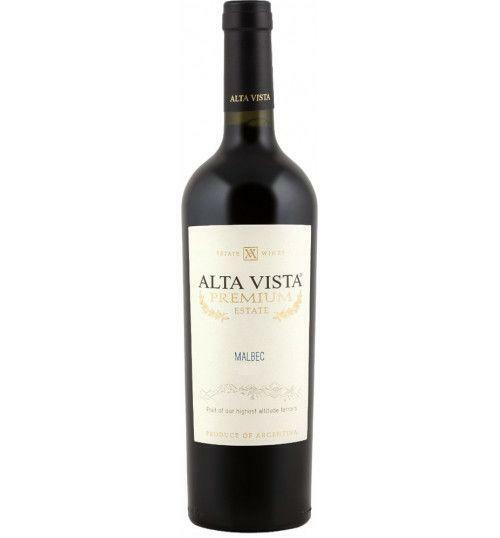 Following a research philosophy aimed at obtaining the best expressions from various terroirs, and being able to exploit vineyards planted in the renowned Mendoza and Salta areas, Alta Vista is ranked among the most important and prestigious Argentine companies.